Set the oven to 340 degrees. Mix all the ingredients together in a bowl. Put parchment paper on two 15 inch X 15 inch baking pans and spread the mixture as thin and as evenly as possible. Put the pans into the oven for about 15 minutes. Now take them out and slice the crackers. Its fine if the mixture is somewhat soft, once the crackers are be baked it will be easy to brake them according to the slicing marks. Return the pans to the over. After 25 minutes, flip the crackers to the other side and bake for another 15 minutes, to get crispier crackers. 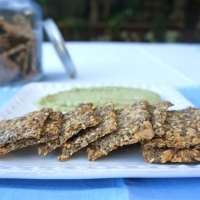 Allow the crackers to chill and enjoy healthy, homemade crackers. 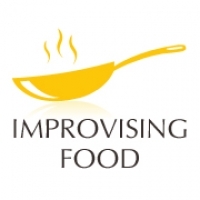 Like improvisingfood's recipes? Never miss an upload!